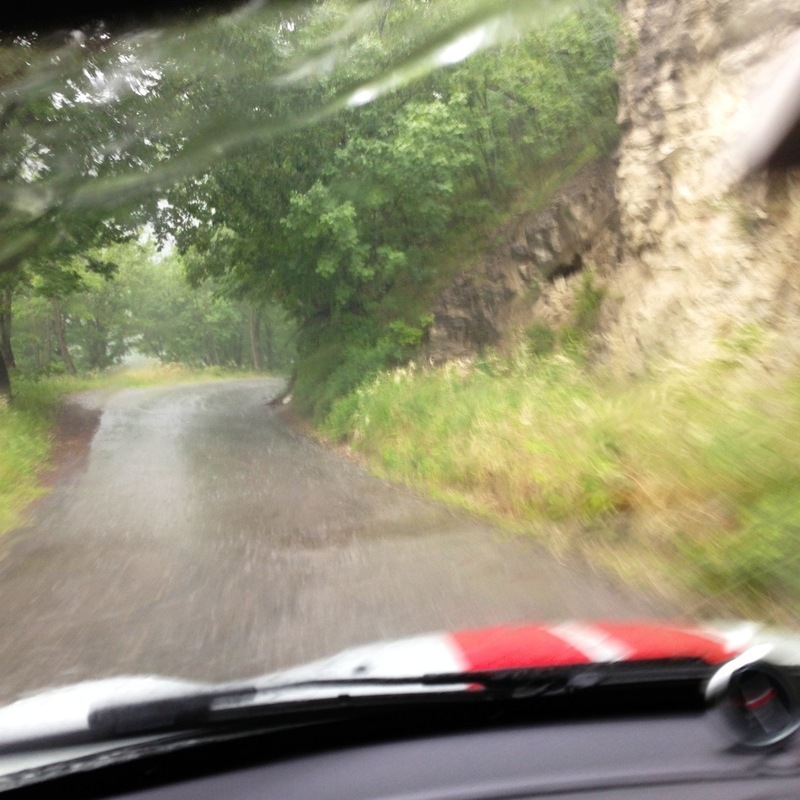 Categories: France, iPhone, Italy, Mille Miglia Diary 2013, Travel | Tags: Mille Miglia, road trip | Permalink. I Won’t blog the last two days of our road trip it was a day in the apartment on Saturday, an overnight drive to Calais and a return to our home in Malvern by 3 in the afternoon on Sunday. Instead, let me end our Mille Miglia road trip with some concluding thoughts about the trip and each of the stops. First it was far enough from Port Cogolin but not too far to drive. We loved it for a one night stop and thought we had enough time to explore the city and get a feel for it and enjoy an evening meal. It was perfect for our first stop as we were excited about the trip and while it did not disappoint it was not the highlight stop on our trip. 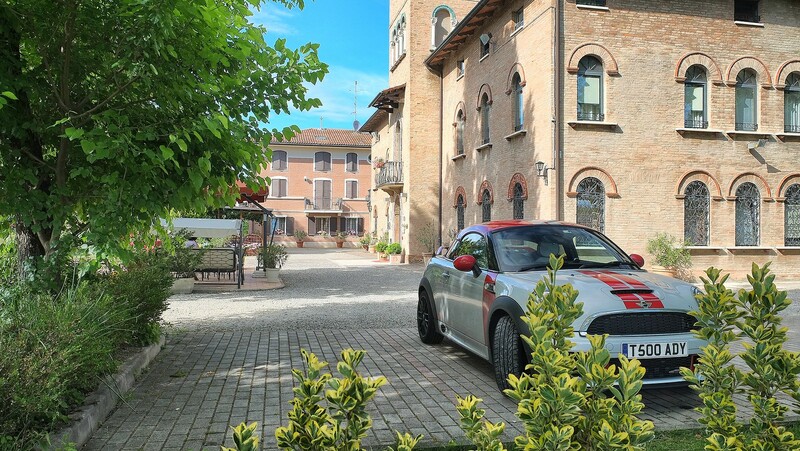 This proved to be a lovely hotel full of character plump in the heart of the city and just off the main piazza where you see the Mille Miglia cars gather. Central locations are essential when you only have a limited amount of time in the city. Yep we would book this hotel again without doubt. This is a stunning city perched on the top of a mountain and beautiful. Everything was just so with not a blade of grass out of place. In truth it is quite a small place and a one night stop is enough in our opinion. Yes you could see more than we did but a friend of ours -Andy Williams – coined a phrase “cappuccino tourism” light and frothy and this style suits us and we saw as much as we needed to. 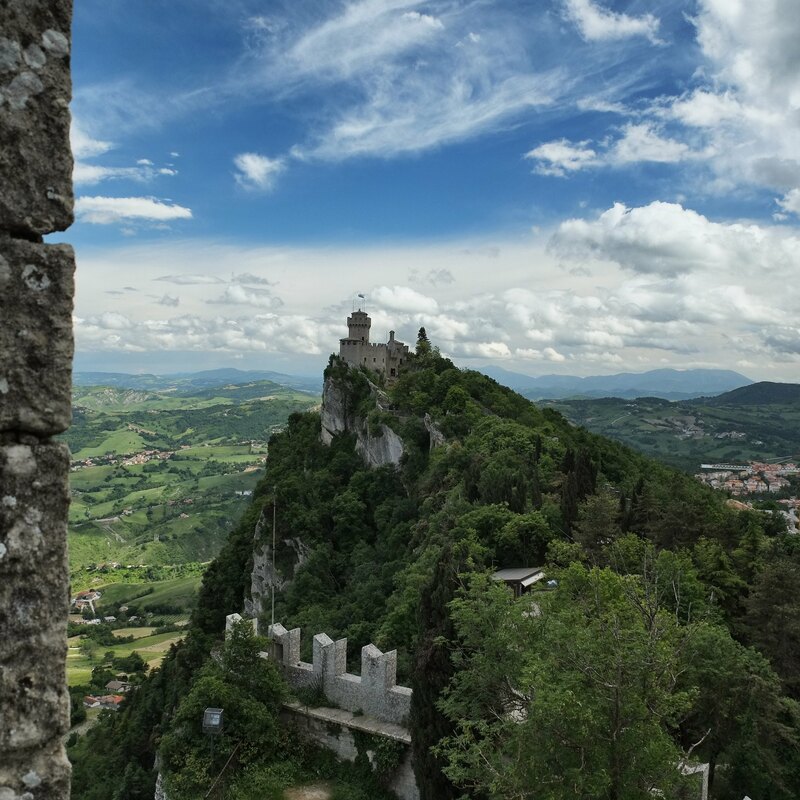 I can’t stress enough though what a gorgeous place San Marino is and with a marvellous drive as you approach it. I would love to revisit and share this place with friends. Perfectly located just about as high as you could get in the town with fine facilities, again we would use this hotel if we were to come back. This was a lunch stop on the way down to Rome. 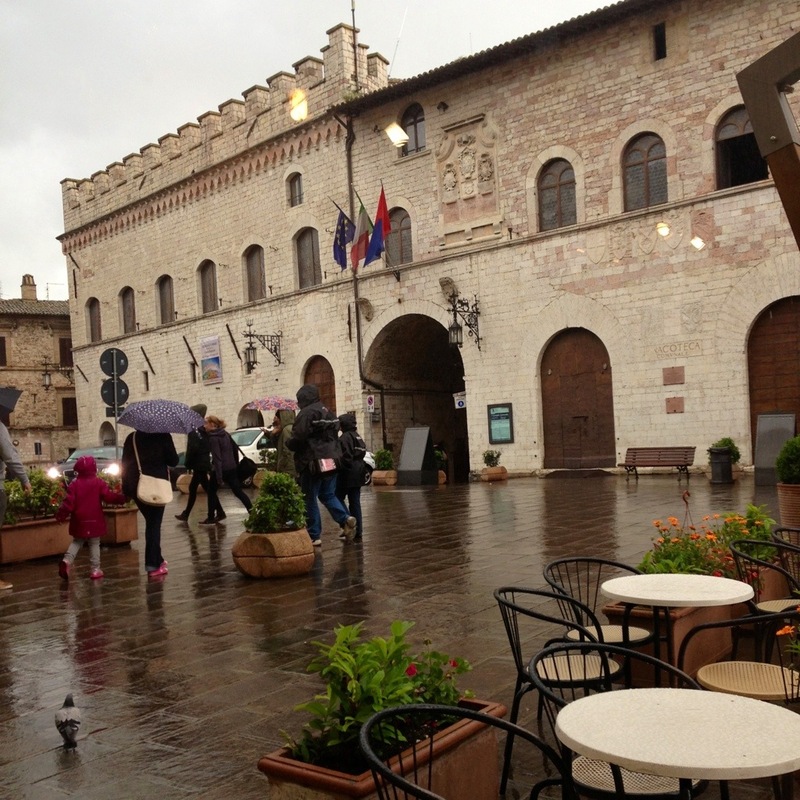 It was a beautiful place to visit, famous for being home to St Francis of Assisi and in truth warranted an overnight stop to allow you to see a little more and enjoy an evening meal in the town. If we did this trip again we would add this in as an overnight stop. First the town is worth spending the extra time in and secondly, this would mean you could reach Rome the next day sooner than we did. We made this a two night stop and rightly so. 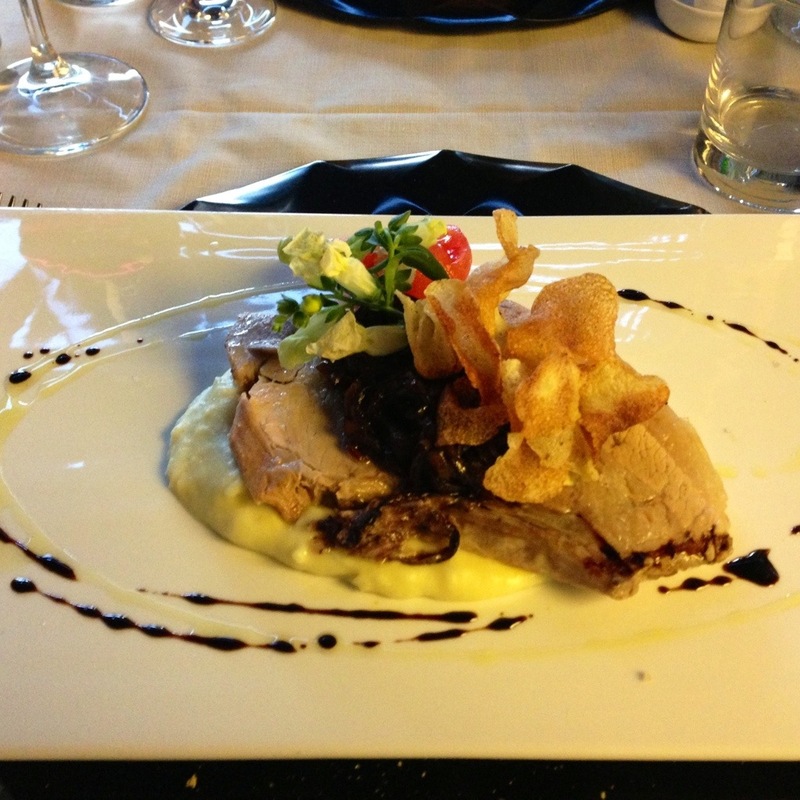 Each day we seemed to up the ante, San Marino trumped Brescia, then Assisi proved to be a surprise gem and now Rome! 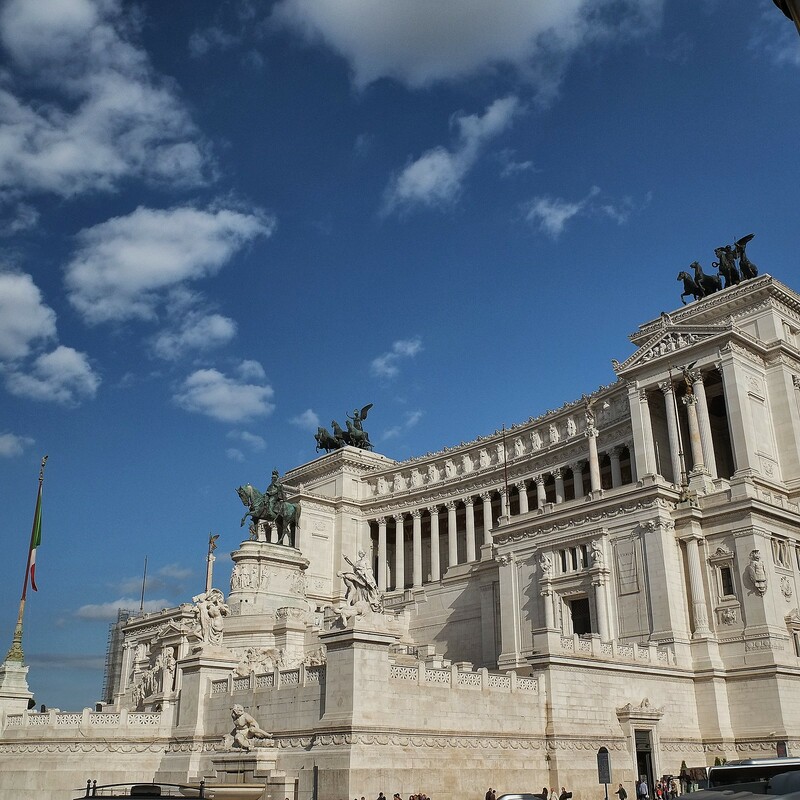 Now I have made the point in my blog that I did not find Rome to be a beautiful city. It’s not, it’s full of cars and noise and chaos things that are non existent in car free places such as Venice or as on this trip, San Marino, Assisi, Siena and Portofino. However, it is a city full of beautiful things and excuse the pun – monumental tourist attractions. I loved doing the whole city thing, moving around on the metro and enjoying the sites. Obviously it is well worth two nights to visit. Doing it again I would be much more focused on doing the full tourist thing and plan exactly what we wanted to see etc. 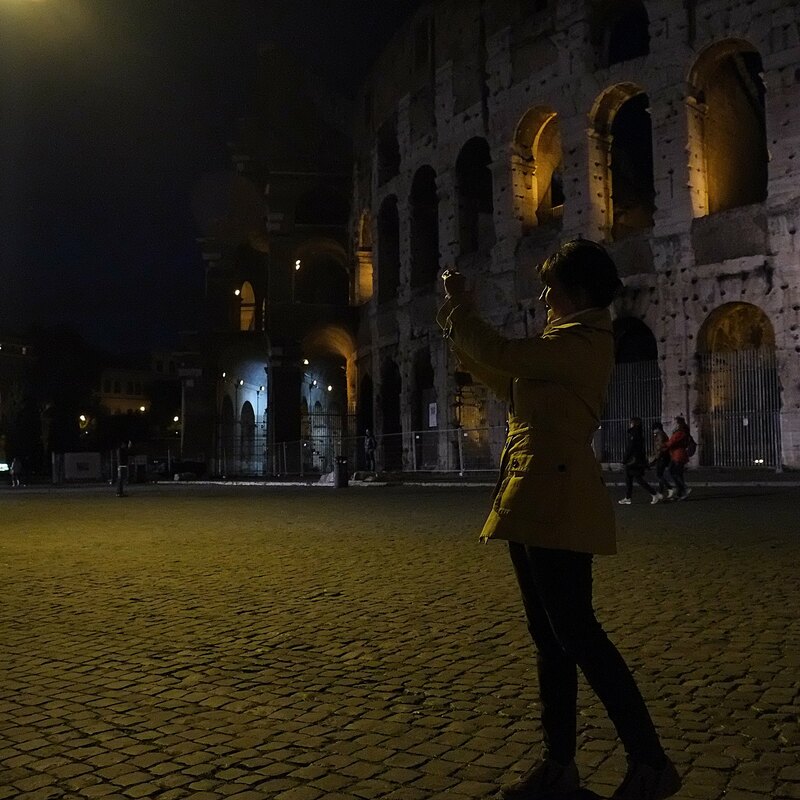 I think we meandered in our light and frothy way and Rome demanded more than this somewhat casual approach. Located in the suburbs 800 yards from the metro. It was perfect for us arriving in the city by car. We drove to the hotel and parked up safely with ease and used the metro to quickly get into the centre. It was a lovely hotel and it really worked for us and yet again thumbs up to Peanut for finding yet another hotel we would happily use again. This was a coffee break on the way to Siena. It doesn’t warrant an overnight stop but it was nonetheless a lovely and very real Italian town and definitely doing the trip again, we would pause here for a break. There was a trend developing with this trip with each place trumping the last. Ok Rome was different its beauty not an inherent part of the city itself but if Rome were a face then it was one with a lot of beauty spots. Siena was just a beautiful face and we loved it. Eating and drinking in the cafes that edge the Piazza del Compo is simply a wonderful thing to do in the bright Italian sunshine. 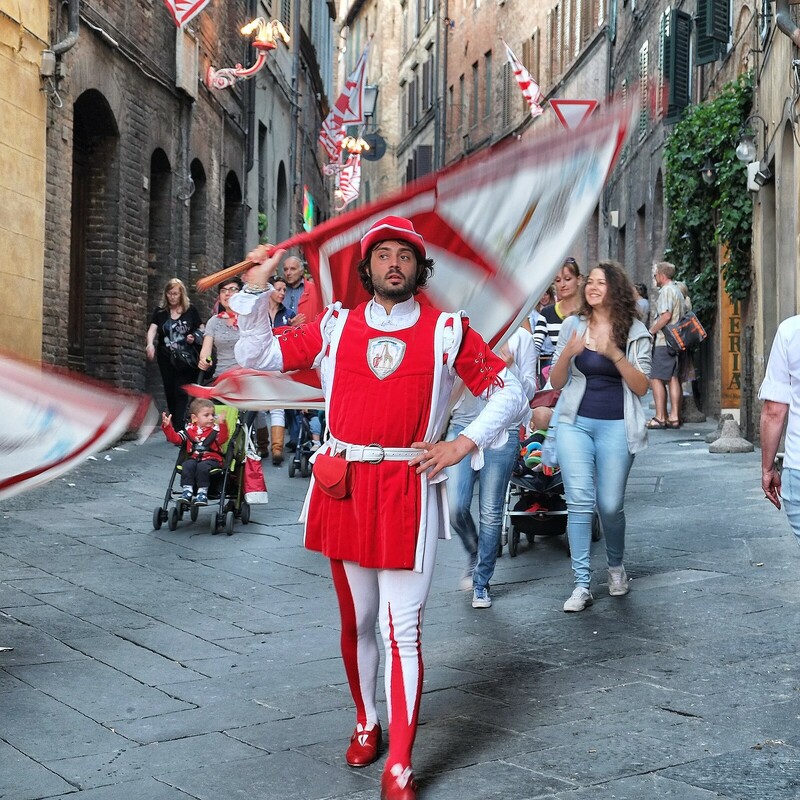 Without doubt any tour of Italy should include a night in Siena. Yes you could spend longer there but to be honest a full afternoon and an evening sufficed for our cappuccino style tourism. The hotel was last modern about 20 years ago and is on the cusp of needing modernisation. However, there was a style to its faded grandeur and the room was nonetheless very nice with fine bathroom facilities. For us arriving by car it was the perfect location. 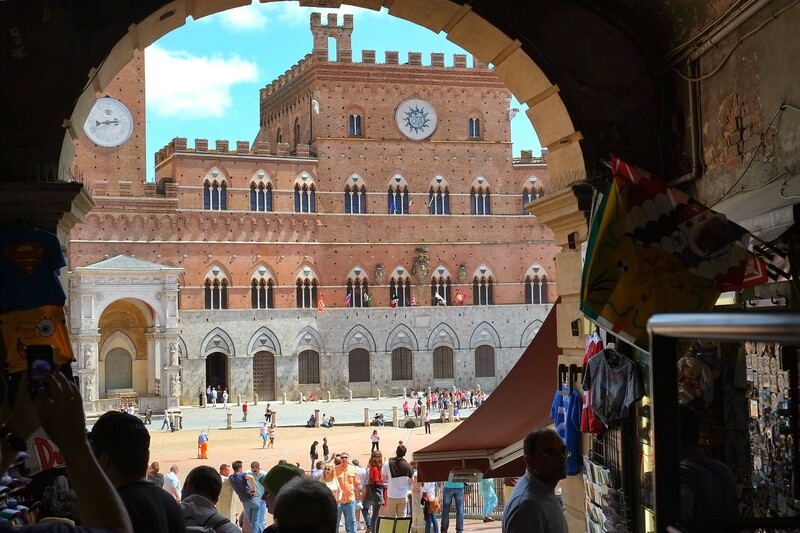 Siena is a walled hilltop town with very little car access inside its walls. The hotel was just outside the walls with a series of escalators just by the hotel which in minutes took you to the centre. The Piazza del Compo being a ten minute stroll – no more. A+ for location and B+ for ambience. And yet as I write that I feel mean as in truth I did love the hotel and we would definitely choose this one again. Brescia, San Marino, Rome and Siena had gone before so clearly Modena was never going to be up there with such evocative destinations. However, in its favour, we were here to visit the Ferrari museum and our evening did end up with us having our nicest meal out on the whole trip in a restaurant on a piazza in the old town centre. It would still be on the agenda if we repeated the trip but what we would change is this… If the weather was fine we would drive there as we did on the back roads as it would be a beautiful drive. If the weather was bad as it turned out for us, we would go there the fastest way and use the extra time to visit the Lamborghini museum as well! 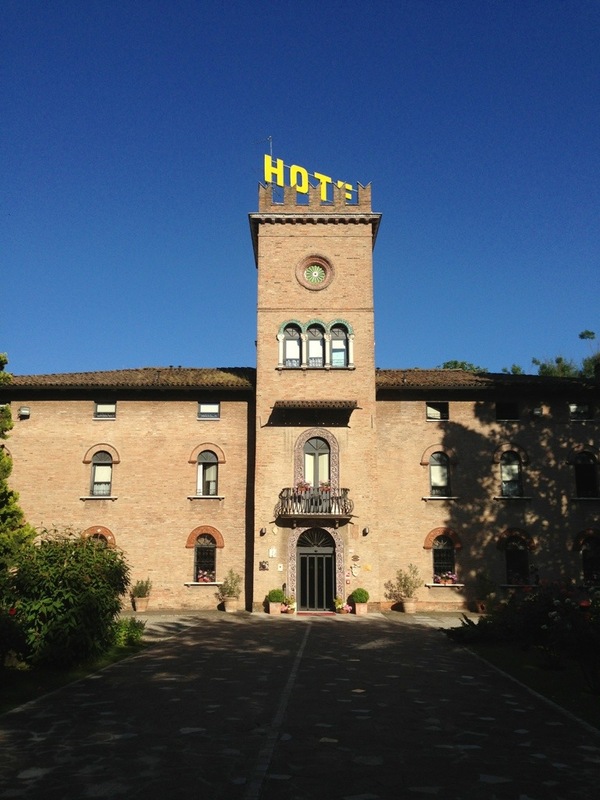 This is where the genius of Peanut comes in, as she compensated for Modena’s ordinariness by going the extra mile and finding a wonderful out of town hotel set in its own grounds for our overnight stop. The room was huge and lovely, the grounds were beautiful and nicely manicured – perfect for an afternoon drink in and the breakfast here was the best of all of them. Yes this is the hotel to choose without doubt. 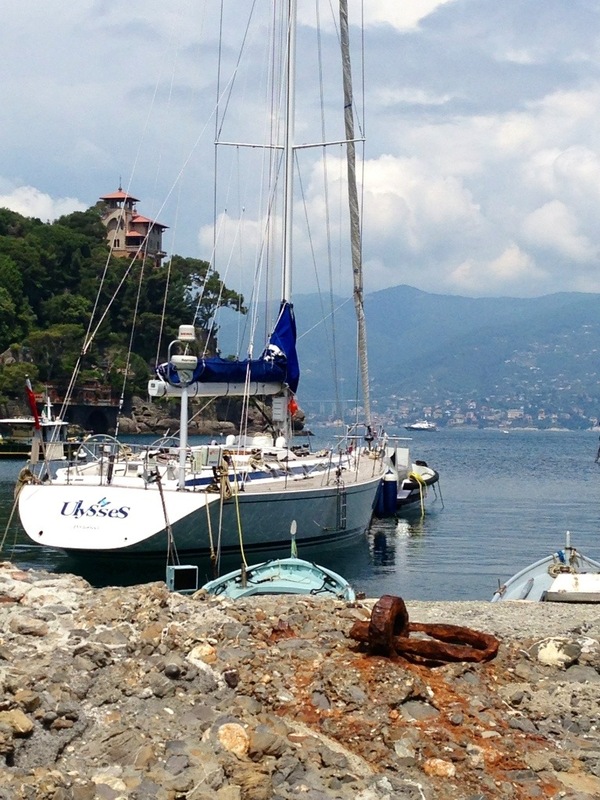 From Modena we headed home to Port Cogolin, 5 km from St Tropez and we broke the drive up with a long lunch stop in Portofino. This worked out well for us because it did not matter what time we got back to Port Cogolin, as we had a few days there before heading home. 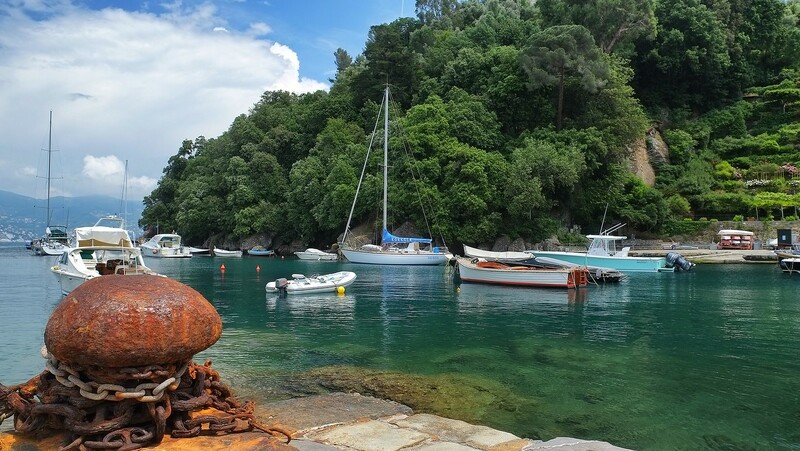 We got the whole afternoon to see this delightful port which surely epitomises Italian chic at its best. 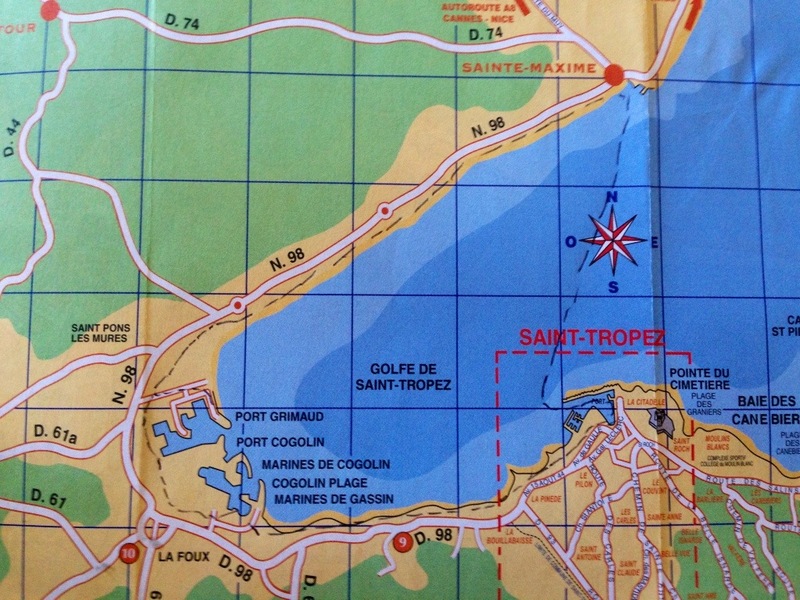 It was so picturesque that we would always make this a lunch stop coming back to the French Riviera from Italy. If we could change anything we would spoil ourselves with a stopover here but we think the hotels might be too pricey for our pocket. If so and we got the chance, then we would settle for a stopover in the town you pass through to get there. It was just lovely and to enjoy an evening meal in one of the restaurants that surround this tiny port would be a delightful treat. 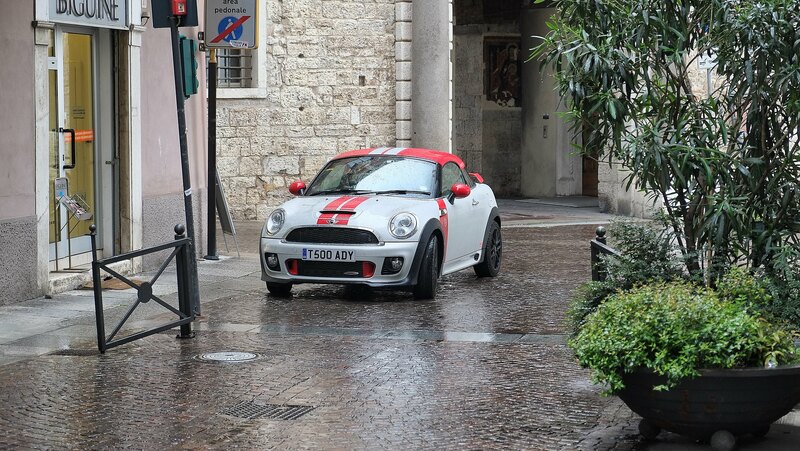 So there you have it – our road trip discovering Italy, by following the route of the famous Italian road race, the Mille Miglia. 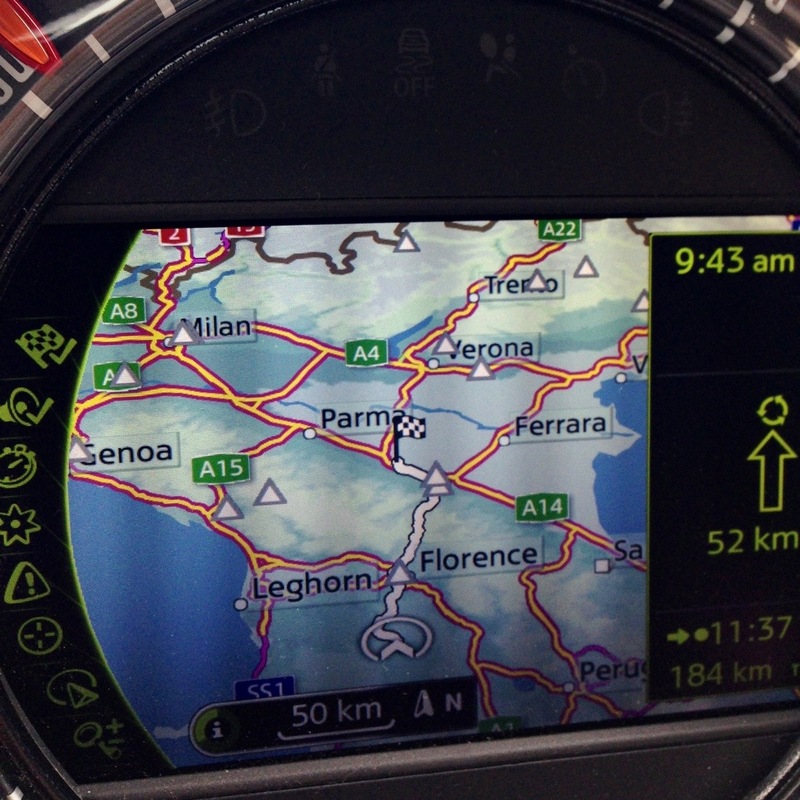 Follow our route, use the hotels we used, add in overnight stops in Asissi and Portofino, top and tail the trip with your own route to Brescia and home from Portofino and quite simply you have the perfect Italian road trip, with the right balance between driving adventure and having enough time in the places you stop to feel their beauty. 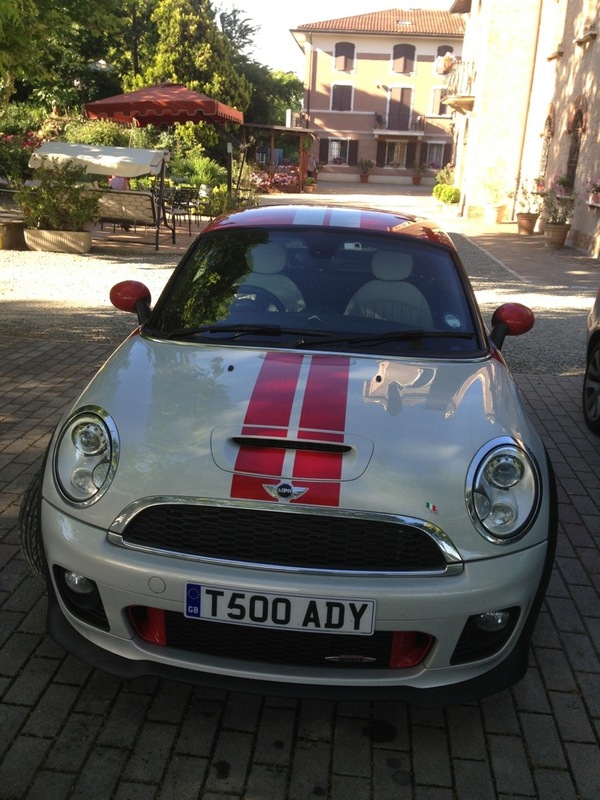 Categories: iPhone, Italy, Mille Miglia Diary 2013, Travel | Permalink. I woke to a crash in the kitchen this morning, I didn’t rush out of bed but let Beastie sort out whatever mess he had got himself into. It seems that some chocolate biscuits in the cupboard had proved irresistible to the ants and they had invaded in the night. The crash was Beastie trying to get stuff out of the cupboard to attend to them, and a glass coffee jug was the victim. So my tea in bed was late…very poor. It was another glorious day but this morning we had some housekeeping to do. Some serious hoovering (in corners and everything), cleaning the rug and then we ended up washing the covers on the settee because I tried to clean off some spots and it was worse when I had finished than before I started. I am not a natural housekeeper, but then Mr Beastie is always happy enough to remind me that he never married me for my housekeeping abilities – he can be a sweetie! After this we went out for a new bin as Beastie decided that he just could not cope any longer with the current bin, because he has to take the lid off before he can throw anything in it! To be fair it is just so lovely for that to be the biggest worry in his life, so I happily sanctioned the purchasing of said new bin! Hmmph, the trouble with Mr Beastie is that if you give him an inch he’ll take a mile, so he also complained that the seats on the terasse were a bit hard on his delicate bottom. Some cushions for the chairs on the terrasse were purchased too then. Today clearly, was not a day lived in the fast lane! 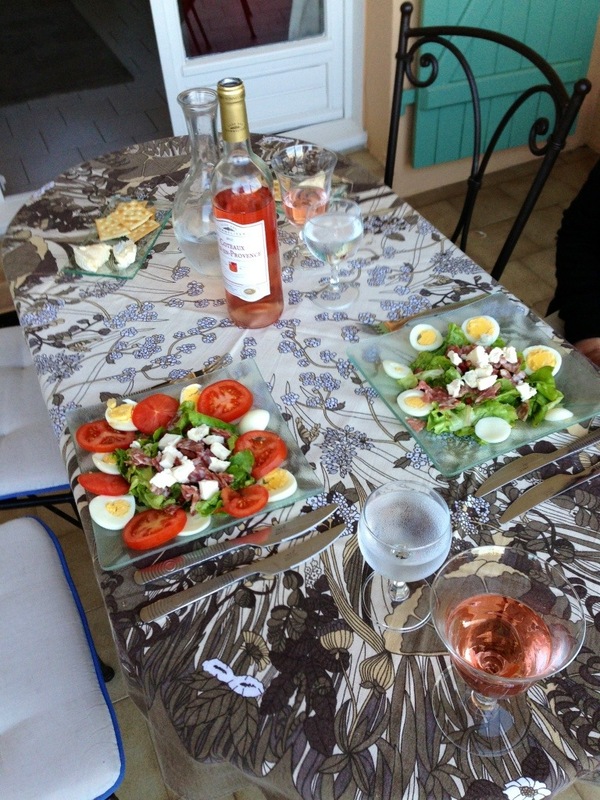 We had lunch in the apartment and made a very nice salad again, with lardons, salami, goats cheese, eggs and tomatoes. 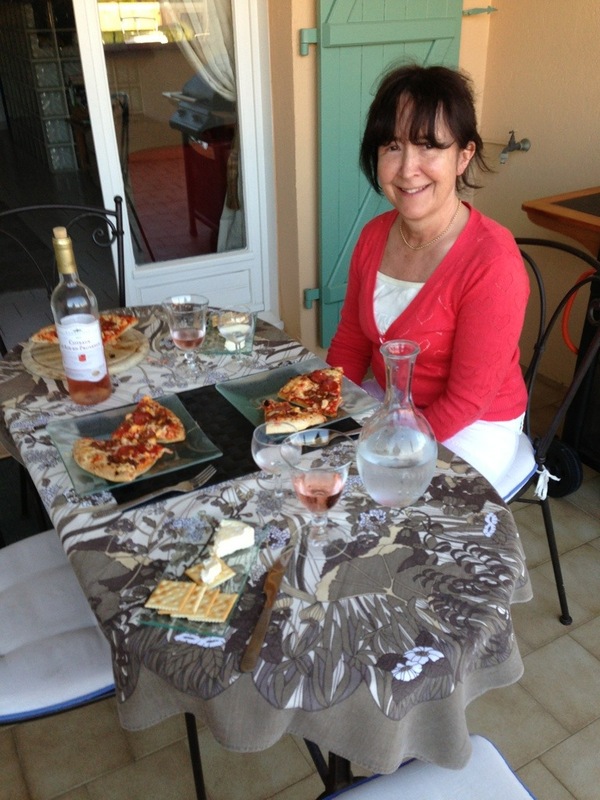 We washed it down with half a bottle of rosé, which is a very pleasant way of giving a lift to an ordinary day. 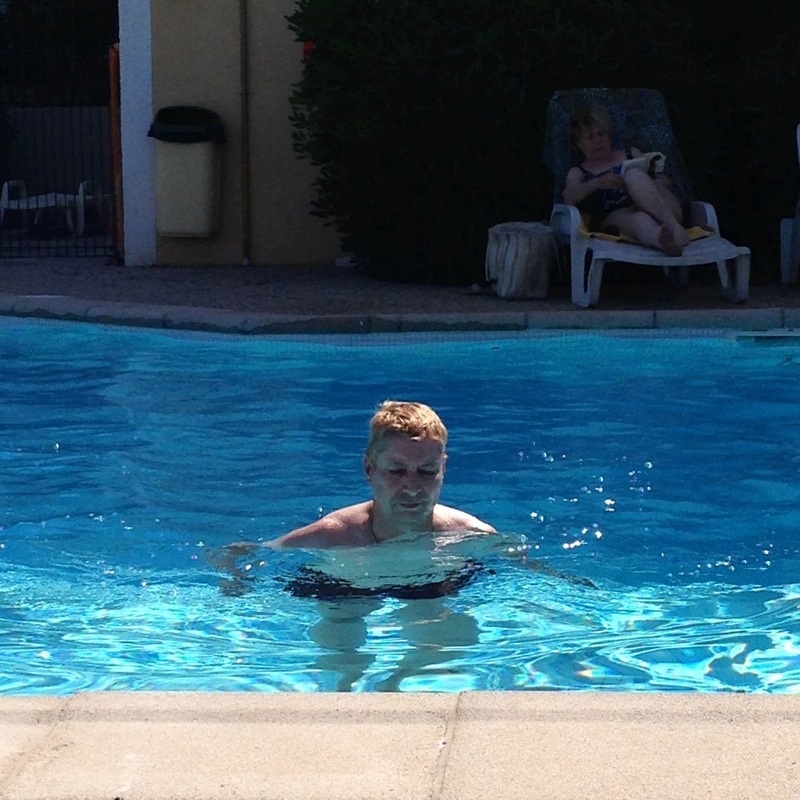 After lunch we thought we would spend some time by the pool, which was lovely and Beastie had a swim. He tried to lure me in too, but I wasn’t convinced so I sat on the side with just my feet in. He says I must have a proper dip tomorrow. All this hard swimming was thirsty work so a beer at Charlie’s Bar was called for – having an English pub full of scousers on your door step makes it hard not to! Dinner at home shortly with an evening stroll will finish off the day nicely. What a wonderful day! We woke to full sunshine, blue sky and the perfect temperature. Beastie’s need for speed had got the better of him and he had decided that today we would recreate our Mini Road Trip – but on bicycles! He fetched some croissants and sold me the idea over breakfast. We set off up the road to hire our trusty steeds which turned out easy enough and we got two bicycles with baskets and comfy saddles for E30 for the day. 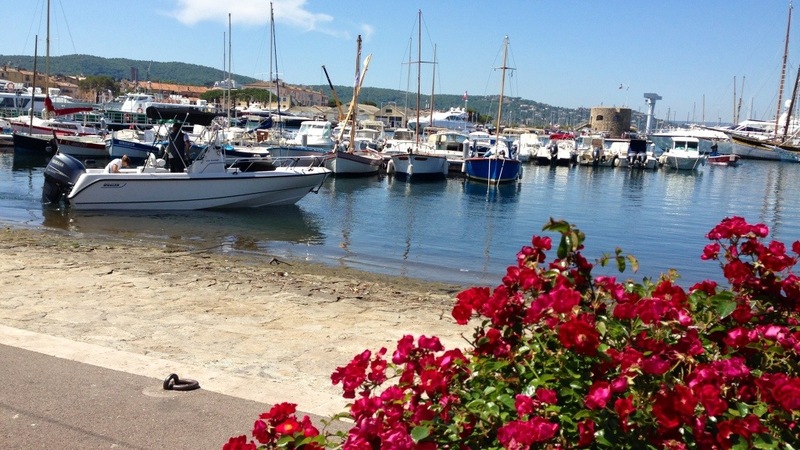 The plan was to ride to St Tropez, take a boat across the Gulf of St Tropez to Ste Maxime and then make our way back along the coast road, looking in at Port Grimaud and Marines de Gassin along the way. 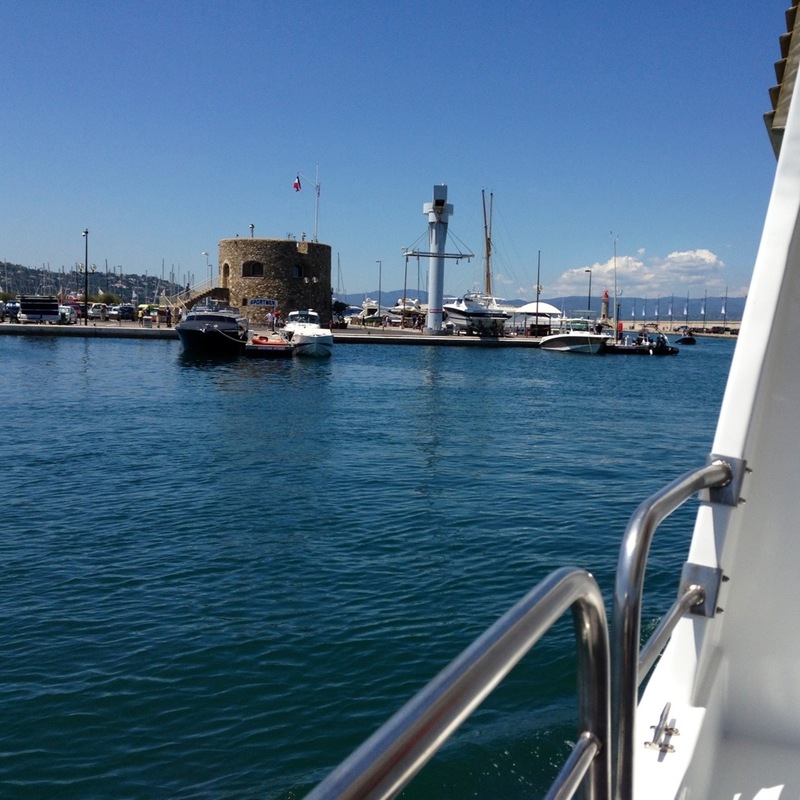 The ride to St Tropez was easy enough and took about 20 minutes. The cycle path is very easy to follow and although you do run alongside the road, at no point do you have to deal with traffic – and it’s flat. 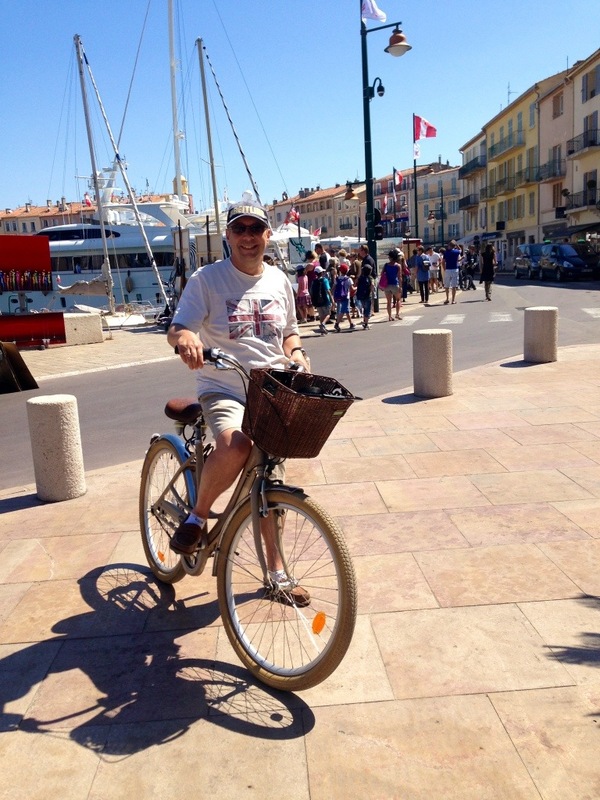 We chained up our bikes to some railings at the side of the old port but not before Beastie insisted on having his photograph taken with his flash new wheels in St Tropez. Beastie then took the opportunity to catch up on some watch shops that had previously been closed and was excited to discover that the shop will have an Alpina model that he is interested in, in stock by the time we return in July. 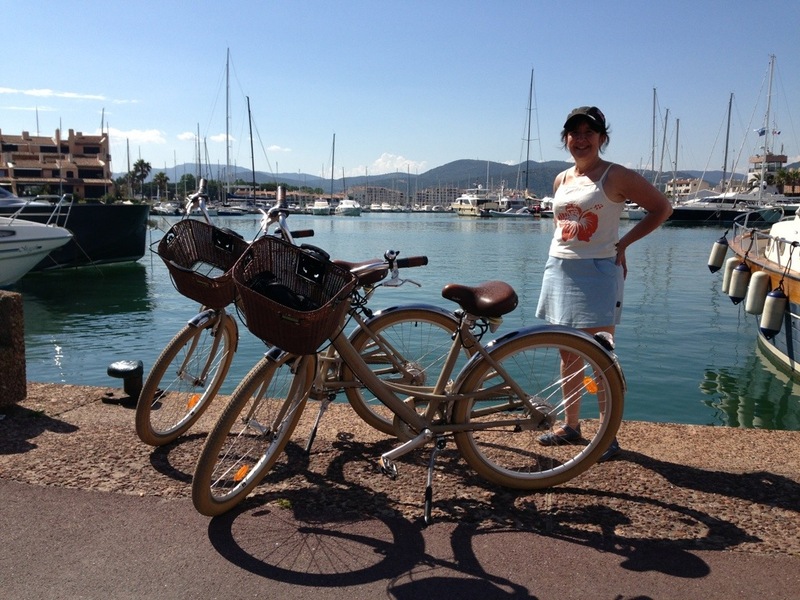 We bought our ferry tickets to Ste Maxime and took our bicycles on the boat, something that I think they might only allow when they are not full, as they do take up a lot of space. As we sailed across we looked at the bay and realised that the second part of our trip was a great deal longer then the first, but we had ages to do it in. The Bateaux Vert are very speedy little vessels and in no time we were on the other side looking back. We arrived at Ste Maxime with just enough time before lunch for Beastie to make a nuisance of himself in another watch shop, where the man in the shop was almost as interested in Beastie’s Chopard as Beastie was in the Breitling he was trying on. We escaped the shop with a heavy Breitling catalogue to cart around the rest of our journey and found a lovely little restaurant we had never visited before called Le Maison Bleu. I had the Plat du Jour which was a white fish steak in butter sauce with rice and ratatouille, Beastie had fried ravioli and lardon salad. 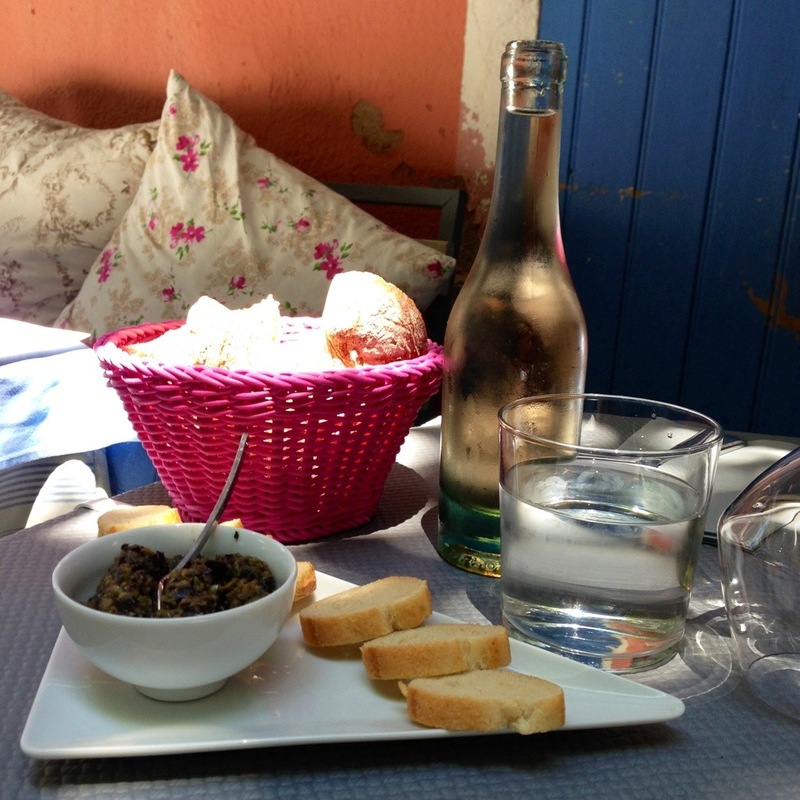 A pichet of rosé to wash it down and a cafe gourmand to follow made it a very special meal, and a proper lunchtime treat. Then off we went again in the direction of St Tropez, on a path that we had not noticed before which ran along the beach, lined with small cafes and restaurants. 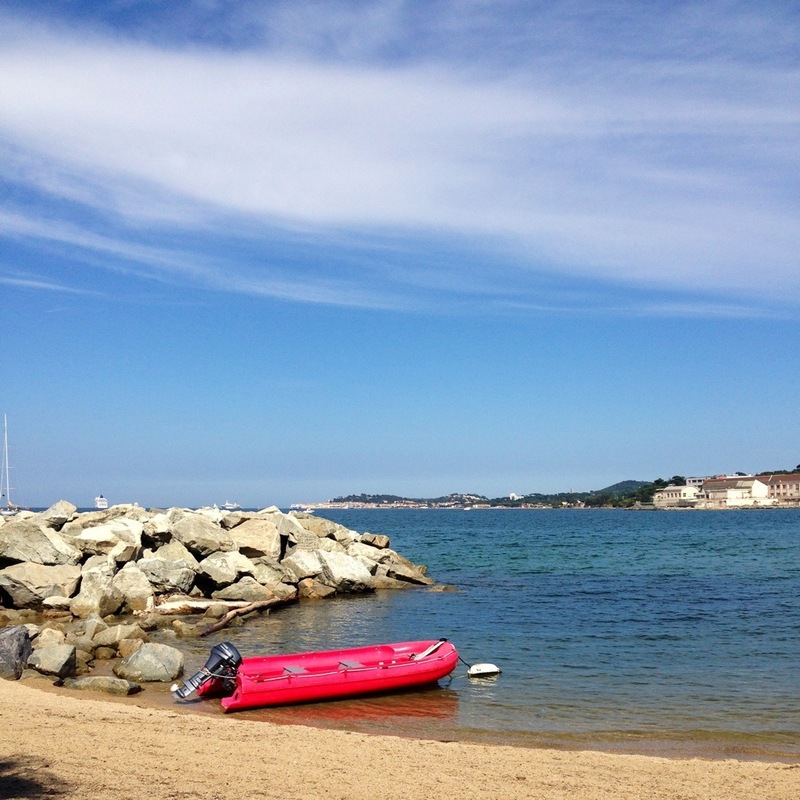 Eventually we arrived at Port Grimaud and made our way to the beach end where it is quieter, and there are less folk to run into. Both Beastie and I were a bit unsure of ourselves riding in confined places around people and it would have been very easy for either of us to run some old biddy over! It was time for another rest and we had an ice-cream in a small cafe and looked admiringly at the Lamborghini that was parked up there. The irony of Italian cars, such as Ferrari and Lamborghini, is that you could not drive them in Italy on any road that wasn’t a toll road. It seemed to us that the further south you went the worse the non toll roads got. Motorways for example had a 50 km limit in some places because the surface was so bad and I’m not talking UK pothole bad, I mean seriously falling apart and wrecked bad. In fact thinking back on our Italian trip, our scariest moment was hitting a huge pothole at 130km/h! My God did it make a bang and how we didn’t tear the wheel off I will never know – and this by the way was on a motorway! 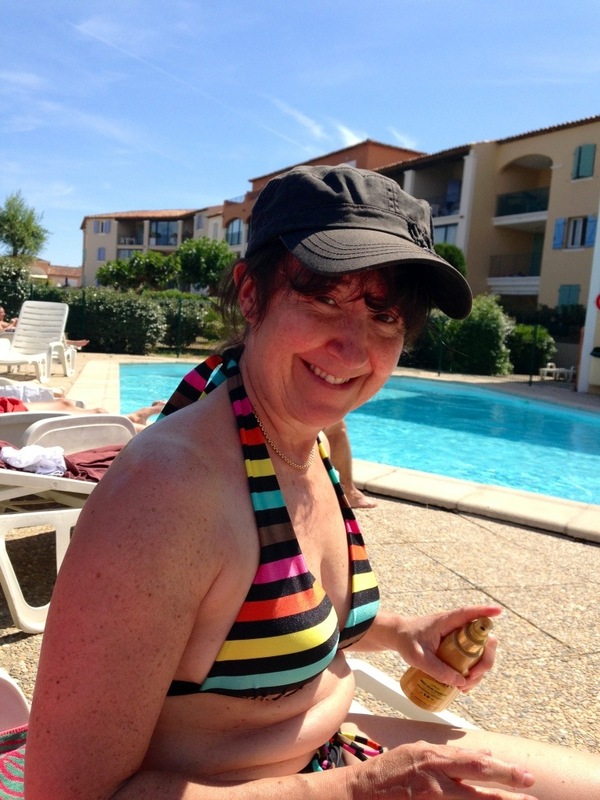 A little more exploring in Port Grimaud and then on to Marines de Gassin where we had a stop by the beach just to see what was going on and a look in a few shops. We were quite tired by now so we thought it was time to take the bikes back, get something for our supper and go back home for a cuppa. As I said at the start of this blog, what a wonderful day Beastie’s mini road trip turned out to be. 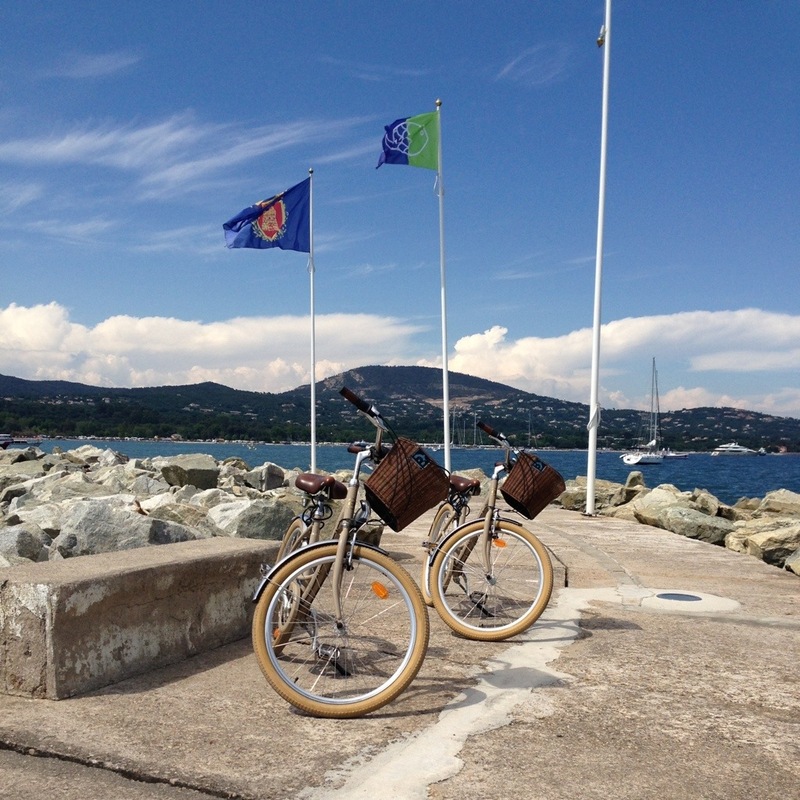 The ferry crossing from St Tropez meant that it was a circular ride, just like our Italian road trip and this made it so much more fun than just cycling to St Tropez and then back again. 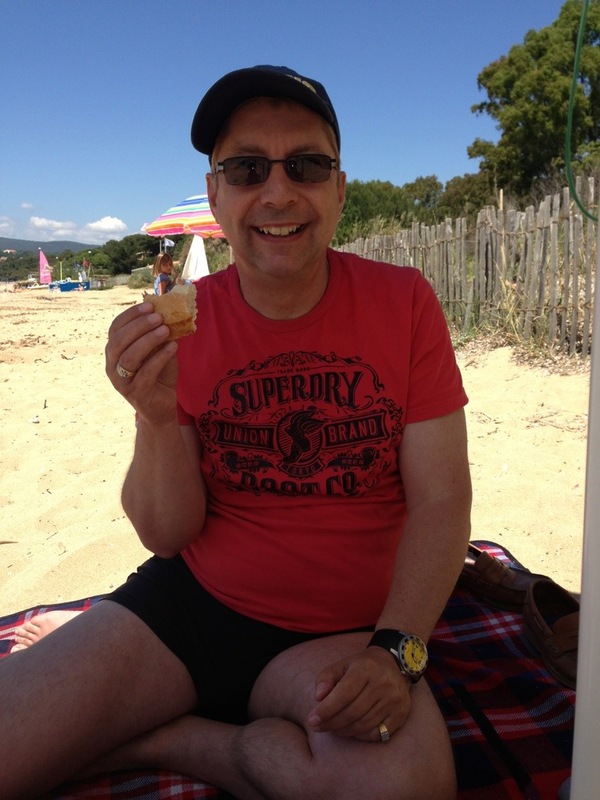 He can plan another bike ride for our next holiday here in July! Today will have a simple ending, Beastie will lose himself in Florence following the adventures of Robert Langdon, while I immerse myself in Ken Follett’s Winter of The World. 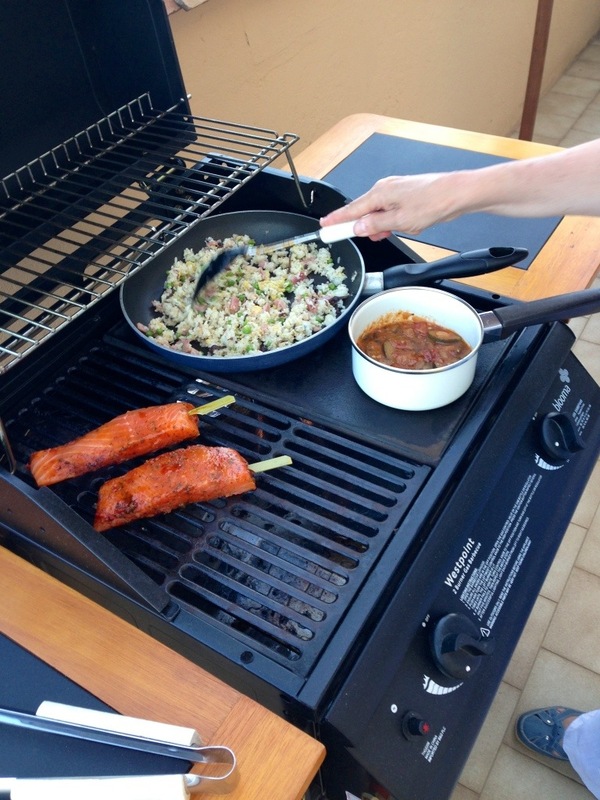 All this excitement will be sustained with a glass or two of rosé and a pizza! The last week has been very hectic touring Italy but it really has been a fun and leisurely drive. In total this holiday will have seen us do between 3500 and 4000 miles which on paper sounds horrific and for many not their idea of a holiday at all. However, break it down and it makes sense. 1000 miles in one hit overnight and we are in Port Cogolin. A lazy 4 days in our apartment before we tour Italy. Then a half day drive to Brescia for one night. Next a drive to San Marino through some stunning countryside arriving around 2.15. Next Rome and a two night stop but with an extended and very pleasant lunch stop at Assisi on the drive down. Then Siena with a break in Montefiascone and a one night stop here. 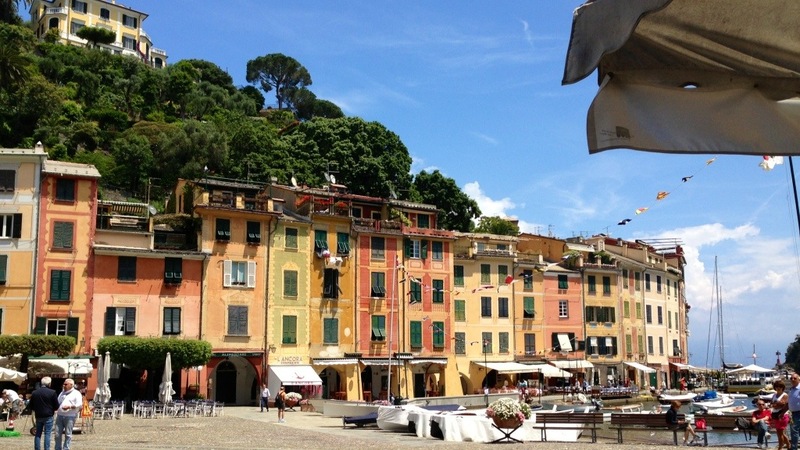 Modena for one night and then back to Port Cogolin but arriving late at 8 in the evening so we could spend the afternoon in the glorious Portofino. Now we have 4 days here before we do the 1000 miles home leaving late Saturday evening and arriving home Sunday afternoon. In truth the format has worked incredibly well. Today then, in keeping with the format, has been a lazy day. A lie in and a read in bed began the day before we decided to head for the beach. 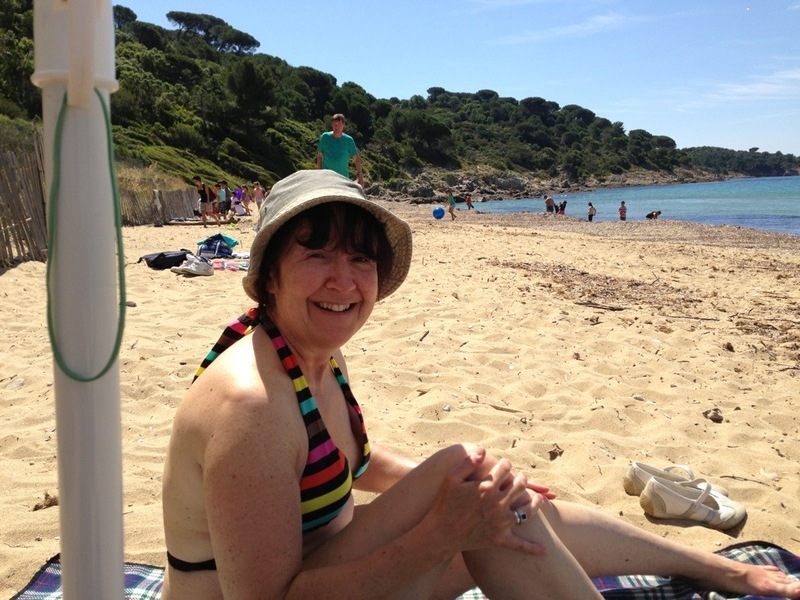 We went to Gigaro beach which is a 15 minute drive away dropping down to the beach from La Croix Valmer. Here we had another read again and Mr Beastie is starting to enjoy Dan Browne’s Inferno, in truth in spite of it being by Dan Browne, whom he is not a big fan of but enjoyable he says because it is set in Florence. Meanwhile I am having great fun reading the Montalbano novel that Beastie finished a few days ago. 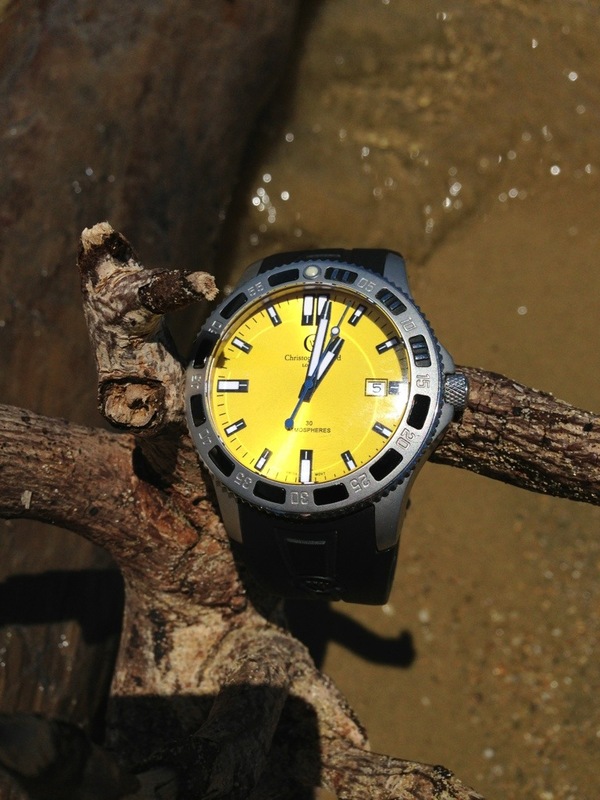 Bored with lying on the beach reading, Mr Beastie decided he would take a picture of his watch for his watch blog feature “Wearing today”. He roped me into helping with this and we collected some driftwood to compose a photo of his watch on the beach. Why can’t he just make do with a bucket and spade like any other boy? Still at the beach we bought some cheese and salami and a baguette and Mr Beastie proudly made lunch from this. Bless. St Tropez was quiet so we parked bang in the centre at Place des Lices and I mooched about comparing the ostentatious jewellery with what I saw yesterday in Portofino. 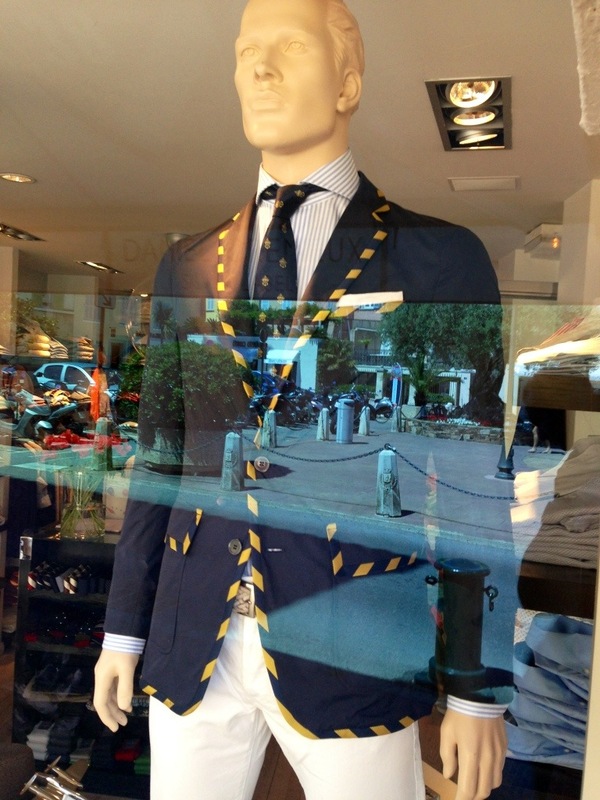 It’s a close call really – hard to say which I can’t afford the most. one of our Tumblr blogs that keeps him entertained. Afternoon tea called back at the apartment, followed by a beer and a catch up on the Internet at Charlie’s Bar. We ended the day with a salad for dinner, lettuce topped with smoked lardons, some left over cheese and the remainder of the salami we had for lunch, surrounded by a necklace of eggs and tomatoes. 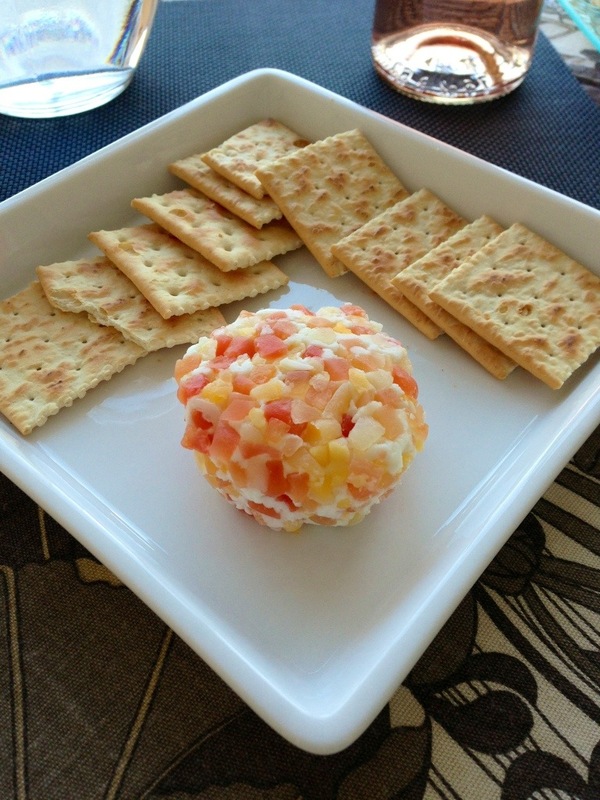 It was rather tasty actually, and we washed it down with a local rosé wine and some cheese and crackers. A very pleasant lazy day. We were a bit later than we would have liked getting up this morning, and when I woke I realised there was something wrong with my eye. I thought I had been bitten by a mosquito last evening when we were having our drinks outside in the hotel grounds and I had anticipated some reaction and so I had put some antihistamine cream on my eye before bed, and I am already taking tablets as well. It was a good job I did as my eye had swollen to magnificent proportions this morning and I looked a sorry sight. Here I am valiantly trying to hide my swollen eye. 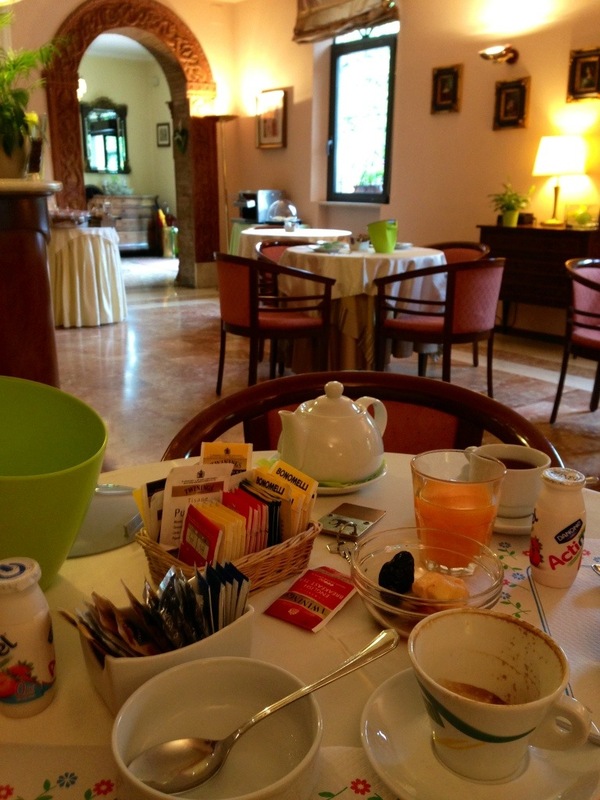 Breakfast in the Hotel Castello was superb, everything you could wish for. To be fair all our breakfasts have been good, but this one was really special, and to top it all they gave us a box of biscuits as a present when we left. This really was a smashing hotel. 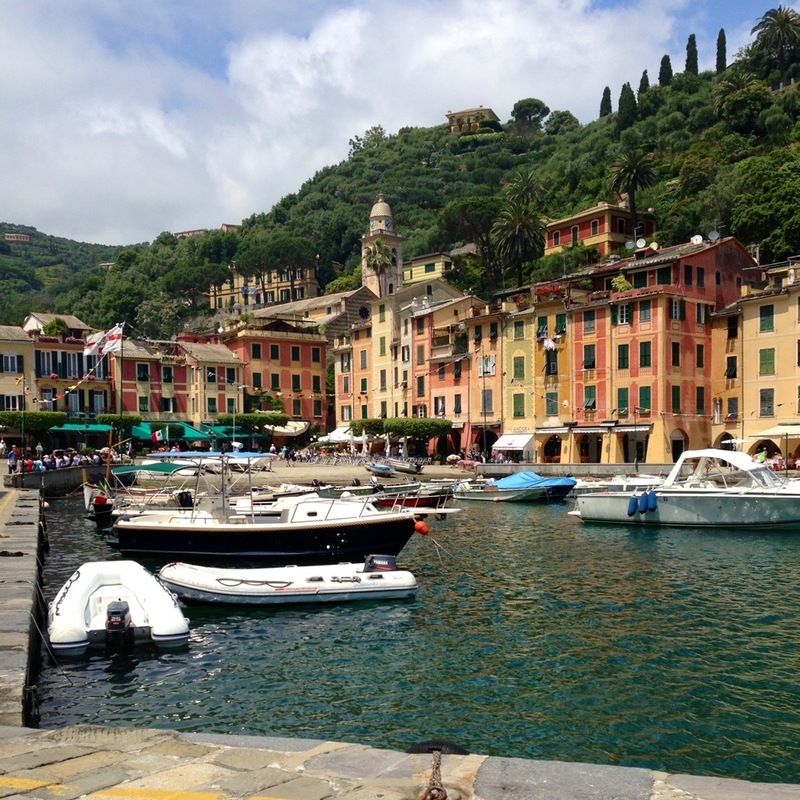 But once we had got over that, the journey to Portofino was very easy, on the motorway all the way until the last 10 km. 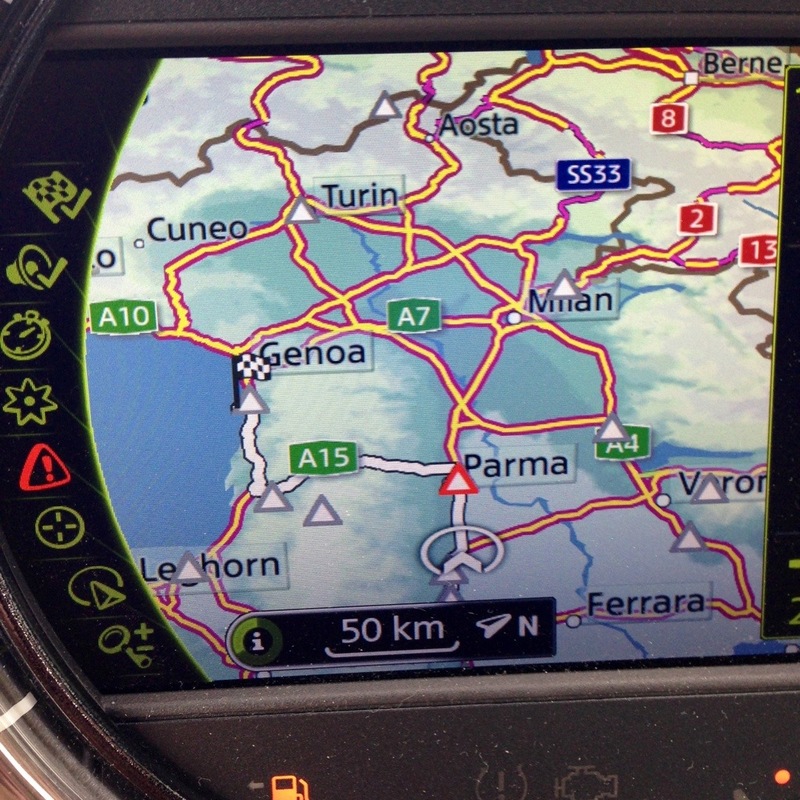 So we came off at Ravello – Portofino isnt mentioned on any signpost on the motorway – and then WOW!!! What can I say, just when we thought Siena was the best place in Italy, we find this secret gem. The drive to Portofino was stunning, utterly beautiful, it was chocolate box Italy at every turn, with the sea as a backdrop. Then we reached Portofino and easily managed to park in a very discreet underground car park. The town itself is really very small but with lots of cafes and some very expensive shops skirting the tiny port. We saw a gobsmacking display of jewels which I thought couldn’t be real, because, well just because. 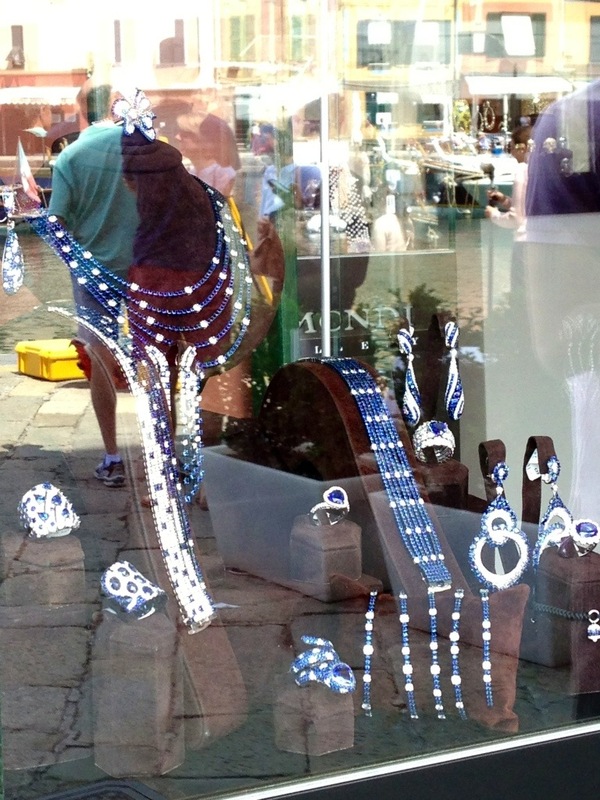 But we asked and yes, they were real, windows full of diamonds and sapphires, not little trinkets but whopping great collars and pendants, the price of just one was E36,000 (we asked). Proper Liz Taylor stuff, and then later in another jewellery shop we saw a ruby heart,which was an inch across and surrounded by diamonds. These items had no prices displayed, and really that said it all. Beastie was also in watch Heaven as he found more watch shops to drool in, in this tiny jewel of a port than he could find in the whole of Rome. Officine Panerai had its own shop and there was another rammed full of Rolexes and Tudor watches. Beastie made an interesting observation on the Rolexes. He is not a massive Rolex fan but here they had a great collection of tasteful Rolexes from a green faced and bezelled Submariner to a very attractive Millgaus and he glibly said there were at least three Rolexes he would happily have on his wrist (I do love this boy and his dreams). In St Tropez the Rolex watches are just covered in diamonds and are really OTT, so Portofino’s discreet class is also reflected in its selection of watches! 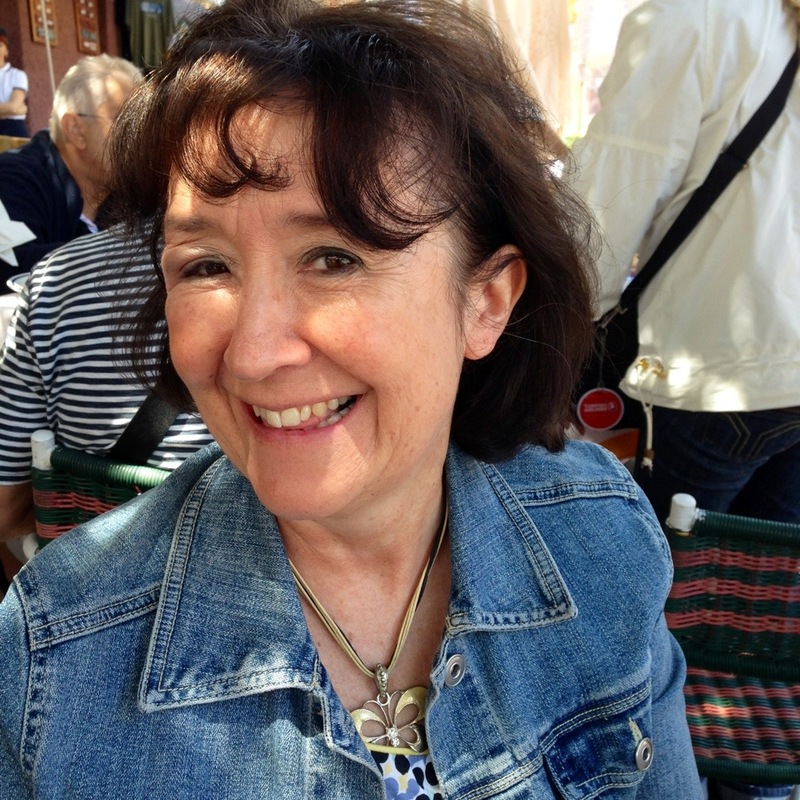 We paused in a cafe on the quayside and had lunch, a tuna and mozzarella salad with a glass of white for Mr Beastie and a real treat for me – a ham and egg omellette! 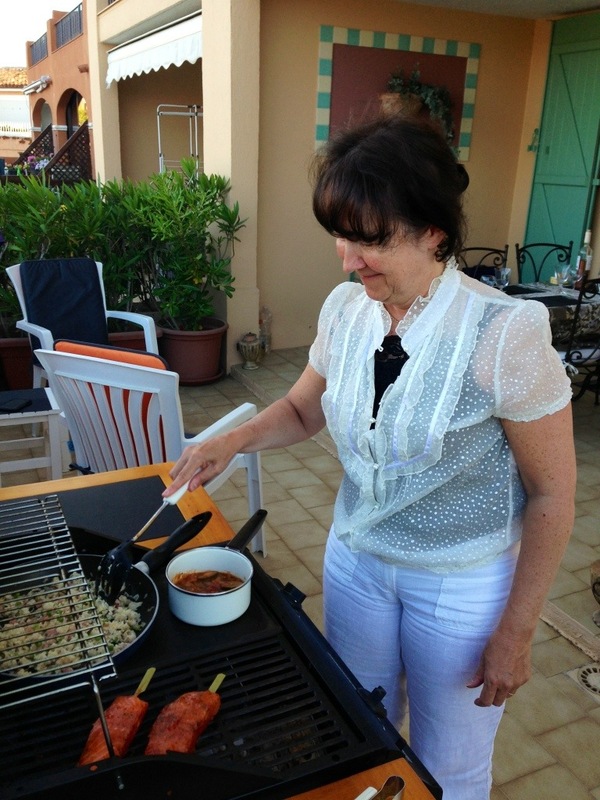 No holiday is complete for me if I don’t get an omelette on it! It was a lovely light lunch and so enjoyable to eat in such a wonderful setting. After lunch we strolled round the port and climbed up the Castello Brown, the old home of the British Consul in Genoa in 1867. He used to see it from his boat, the Black Tulip, when he was out sailing, and decided he would buy it and do it up. He paid 7,000 lira for it and filled it with bits and bobs from all over the place, but it was done tastefully and remains a charming place to visit, with views to die for over the little town. This is a panorama photo which I grabbed on the iPhone and it was taken from a turret on The Castello that overlooks the port and is without doubt the finest viewing point that you can find. This view was just incredible. Back down in the port we rested with a drink in a cafe bar before deciding it was time to leave for Port Cogolin.Time was getting on as it was after 4 now and we still had a long way to go, so we cracked on, and were back in Port Cogolin by 8pm. I had planned for a late supper so it didn’t take long to prepare, whilst Beastie unpacked the car. It seems very strange to be back here again, but to us it’s like coming home. It was beautiful weather with sun all day and it was still shining when we got back, so we sat on our terrasse and had a cup of tea before dinner with all the unpacking done and the dirties washed. Very organised. A lovely day to bring to an end our very own Italian Job. 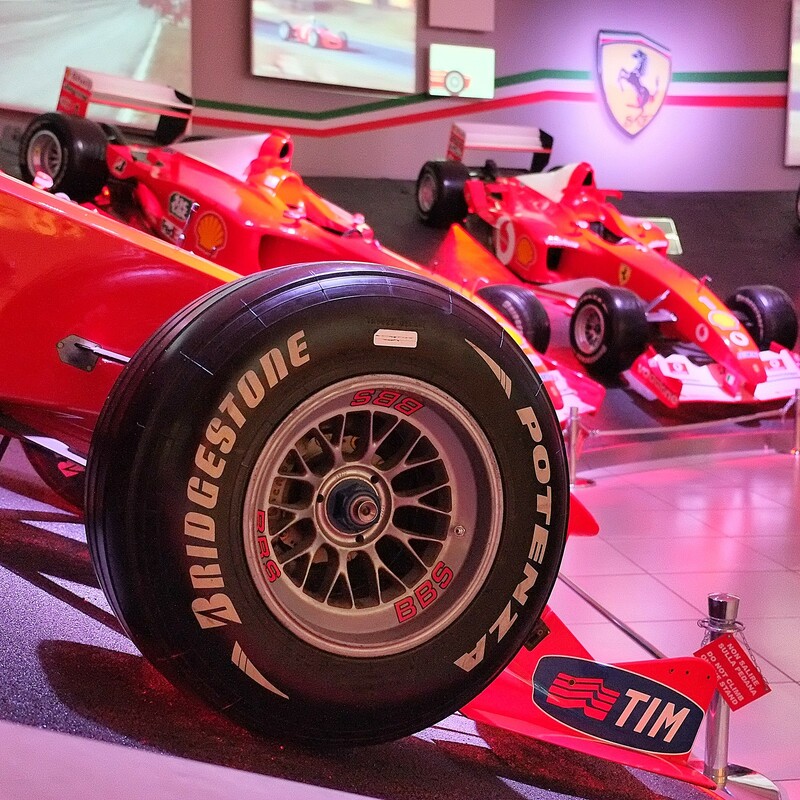 Today was the last leg of our Mille Miglia trip, and we had decided to end our journey at Modena, and visit the Ferrari museum at Maranello. After some discussion about which route to take, we thought we would go fast to get past Florence, then use the mountain roads to Modena. The view from some of these roads was superbly wonderful and much more mountainous than we had thought. But as we were so high, we were often in the low cloud and could see very little, as the rain had come out to play again, and when it rains in Italy in chucks it down. So these roads which would have been epic in the sunshine, were well…just as epic but for different reasons and the rocks washed into the roads didn’t help, when you can barely see the road for rain and you have a hairpin turn and a 1:3 uphill climb to negotiate. 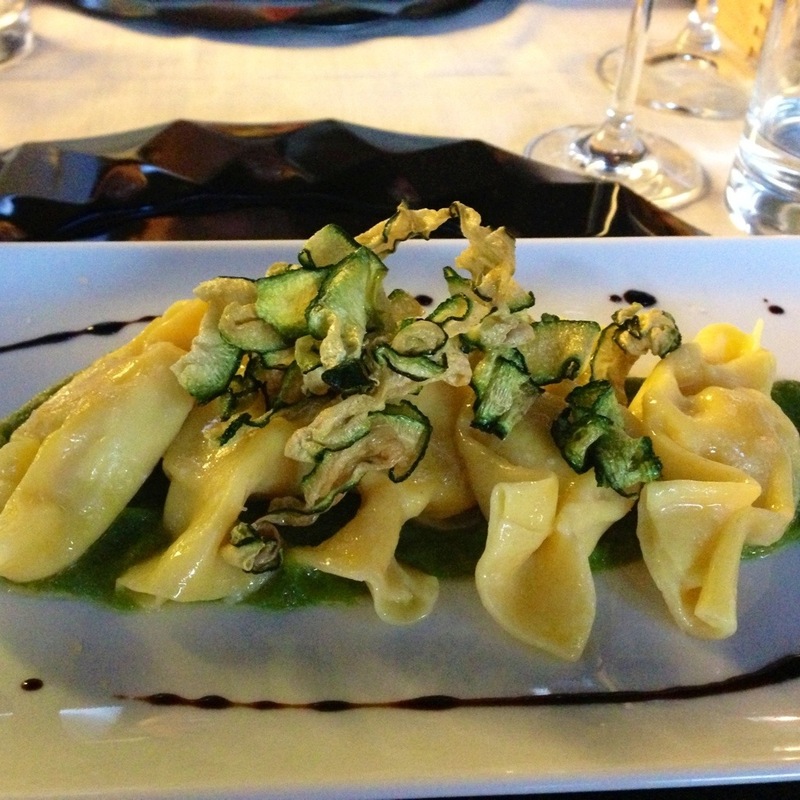 We will have to do it again next time we are in Florence! As a result we got to the Ferrari Museum at about 2.15, hungry and tired to be accosted by a man trying to sell us a ride in a Ferrari. We declined as we wanted to eat and we had had enough driving by that time! Also, I had a passing thought that the Aston owners might be lurking here to rob us of our lunch again, but no, not this time fortunately. 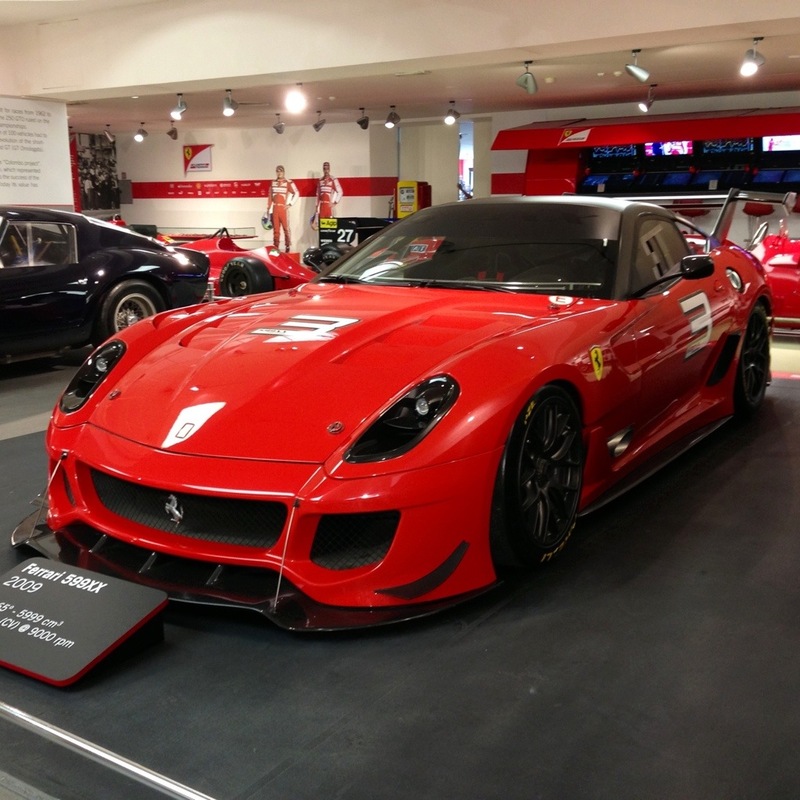 We spent the afternoon in the Museum and several other Ferrari shops we found nearby. 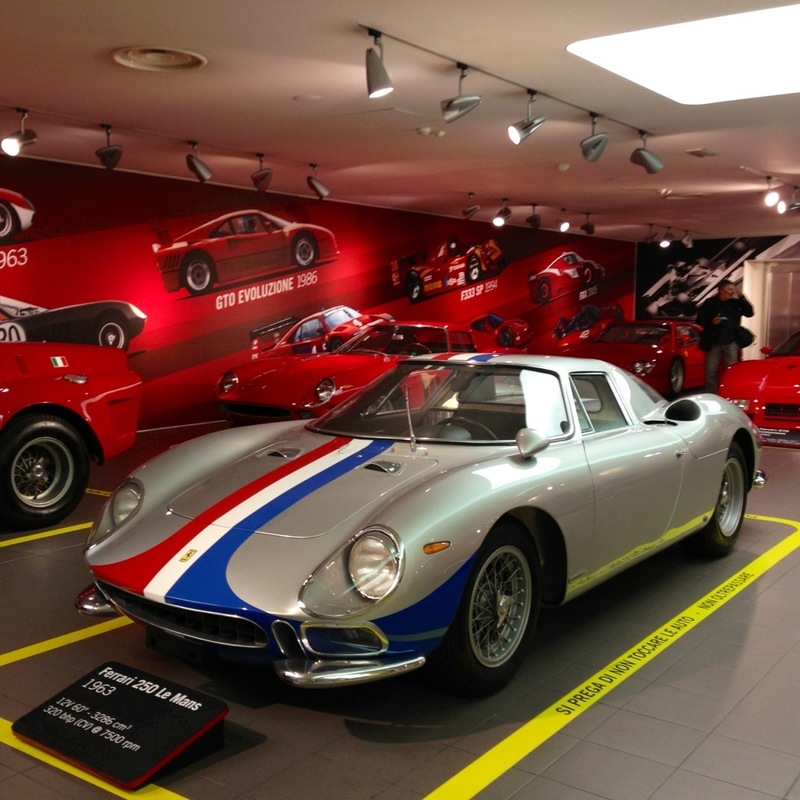 It really is a smashing museum but if I’m honest, as I can never aspire to owning a Ferrari the fascination does not last long. If something is just out of reach, it pushes the boundaries of possibility but when it is not even showing up on the radar then the interest isn’t there. The Mille Miglia museum was different, I saw it as a car museum and loved it for the story it told. Yes this too is a museum but somehow I couldn’t help but see it as a car showroom. Satiated with Ferraris we then headed to Modena to our hotel, which was again a gem. We did not expect too much from Modena as a town so we had tried a little harder to find a nice hotel and The Castello certainly fits the bill for us. 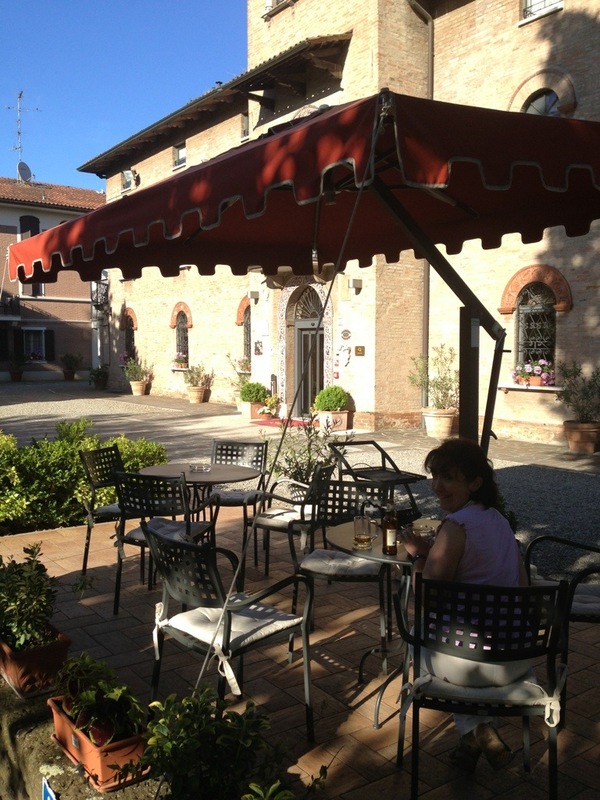 After checking in to our simply ginormous room we went for a beer in the hotel garden in the sunshine, which turned up a little after us in Modena. I do wish it would keep up, the weather has not always been as good as it should on this trip. 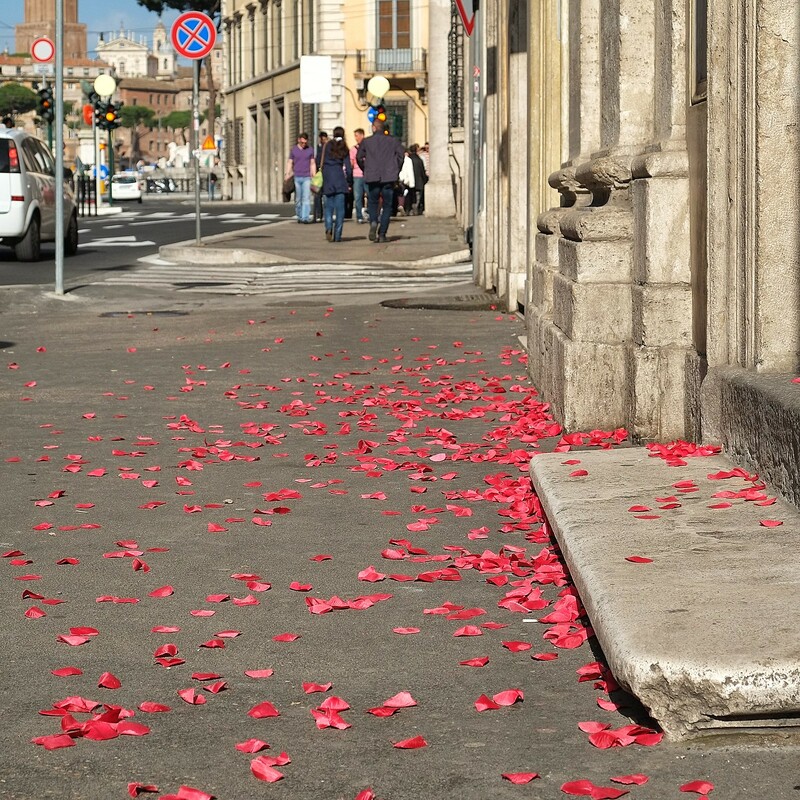 The headline on the Italian paper we found on our table in Maranello was “When will summer arrive?” so if all of Europe down to Rome is still stuck in early Spring, who is having our summer and where? 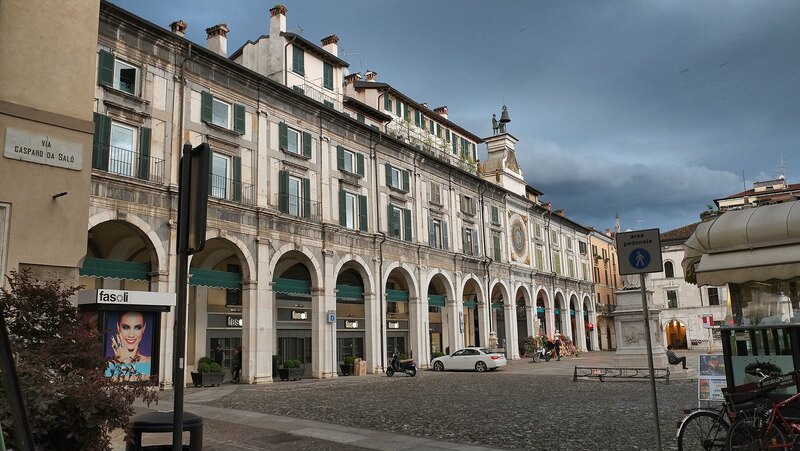 At 7.30 we drove into Modena and quickly found the old centre where we sat down for what turned out to be a lovely meal. A thick slice of suckling pig on a bed of mash and topped with caramelised red onions and crisps for Mr Beastie and crab meat pasta parcels on a bed of puréed asparagus for me. The food, the service and the atmosphere was lovely but we had earned it after today’s drive in the rain! So back to Port Cogolin tomorrow but we are breaking the journey up with an extended lunch stop in Portofino on the way back. We have always wanted to stop here so now we can check it out for future reference. And as for SilverBeast, he has been terrific all the way and we bought him a little Italian flag to celebrate his 1000 miles in Italy which sits proudly on his bonnet (hiding a large stone dent he had already acquired before our trip began). He is a great car to tour in, lots of space and lots of roar and pop to amuse you on your way. Well done SilverBeast, you are a hero!